F - 1.5 Lb. Gourmet 3 Ring Pretzel Tray or 1.5 Lb. Most Popular Chocolates. 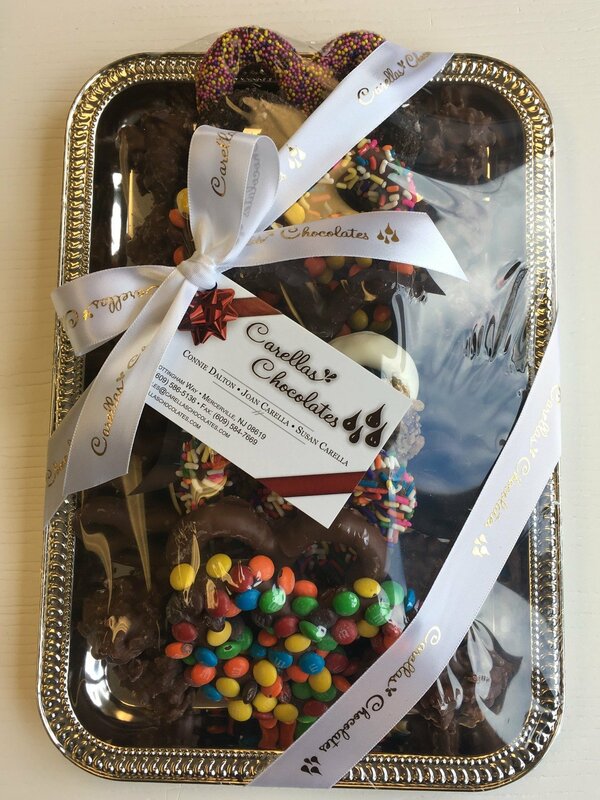 Carella's Chocolates creates many different sizes and variations of Chocolate Trays. This size tray can be made with the 3 ring Gourmet Pretzels or a variety of our most Popular Chocolates.